I was recently invited to join friends for a picnic out in the countryside. We were sitting in an idyllic corner of the countryside just outside Saint-Chinian, in the shade of some umbrella pines, and overlooking vineyards and the rocky ridge, which dominates the Saint-Chinian valley. It was a gorgeous spot, and a wonderful evening, and we were surrounded by the sound of cicadas. If you have visited the South of France during the summer you will know what I mean – it’s a typical summer sound here! I recently managed to shoot a video of a cicada in my garden – have a look and make sure that your speakers are turned on! E-mail subscribers, please visit the WordPress blog site to watch the video. Wikipedia has a fascinating article about cicadas here. The life cycle of the insect is very long, up to 17 years for some species. Most of that life cycle is spent underground, where the nymphs feed on the sap of tree roots. The nymphs emerge in early summer, climb up a plant or a tree where they moult for the final time, and turn into the winged insect you see below. As for the “song of the cicadas” – that sound is only produced by the males, in an effort to attract females for mating. The Wikipedia article explains the mechanics of the sound production very well. After mating, the females lay their eggs into tree branches, and at the end of the summer the cicadas die, leaving the eggs to hatch in the autumn. The newly hatched larvae drop to the ground, where they start burrowing and start the life cycle all over again. Fascinating, don’t you think? 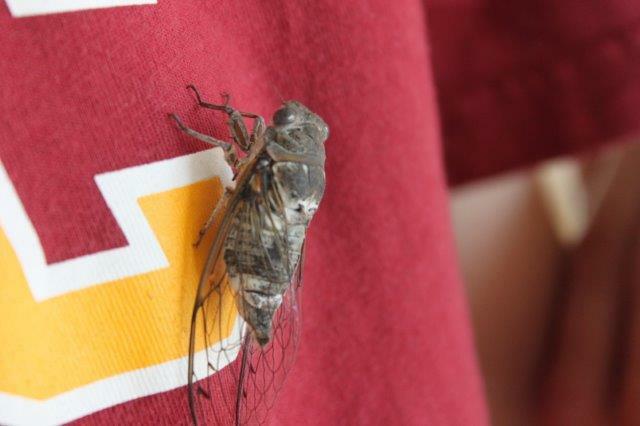 If you haven’t heard the cicada’s song for yourself, think about a holiday in Languedoc. 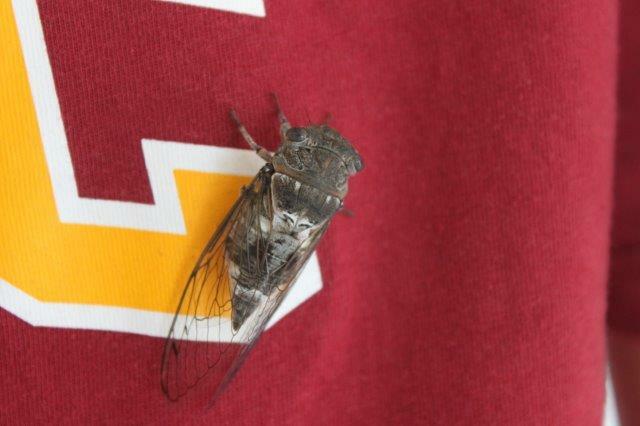 The cicadas usually sing from early July onwards, always depending on temperatures.